Want to know how to fund your real estate deals without using a bank or any of your personal funds? Let Steve Vigil show you how he attracts private money lenders that provide 100% funding for real estate deals. Let’s face it, trying to get a bank loan can be a time-consuming process, not to mention the limitations that come with qualifying for one in the first place. Not only must you have impeccable credit, but the high closing costs, the slow closing process and the cap on the amount of real estate you can finance in your name could affect your bottom line. There’s an alternative and it’s called private money! With this type of funding, credit doesn’t matter, the number of properties financed doesn’t matter, and quick closing is very possible! Sounds great, but where can you find private money? Who has private money to share? How can you convince someone to invest in your real estate deal? 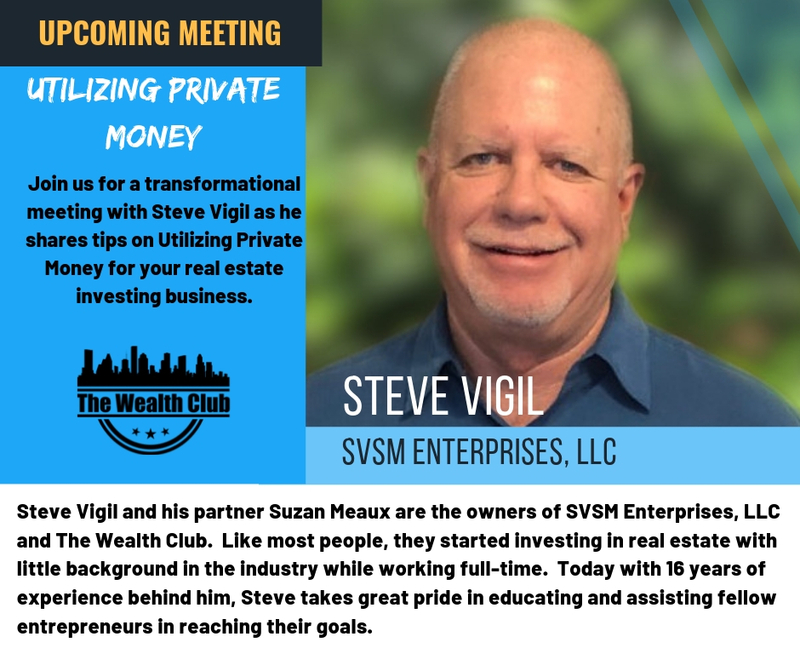 The Wealth Club’s very own, Steve Vigil has mastered the art of finding private money for his real estate deals and will be sharing his knowledge to help YOU do the same. During Steve’s five years as a real estate investor, he has done hundreds of deals from flips to buy and holds using ONLY private money to fund his deals. 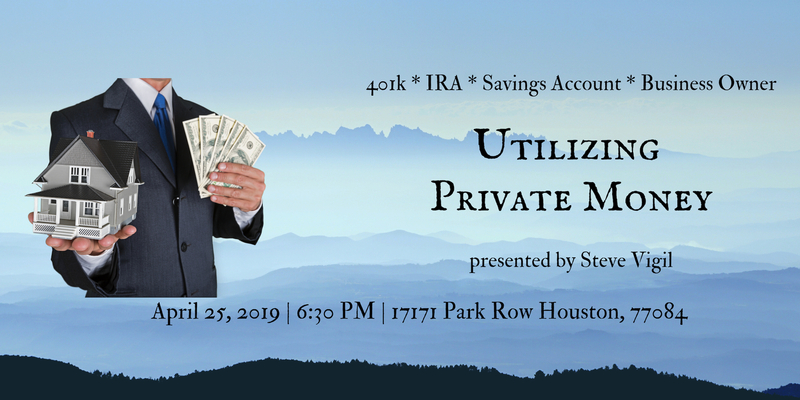 Steve has been able to focus and build the right mindset within himself to be able to cultivate positive relationships and build his network of private lenders. What are private lenders and how to find them? What are private lenders looking for in an Investor? How to cultivate relationships with private money lenders. How to get money lenders to be interested enough to invest in YOUR real estate deals. Learn how you too can build a network of private lenders for your real estate deals.